Kirkcudbright's famous Floodlit Tattoo & Firework Display. 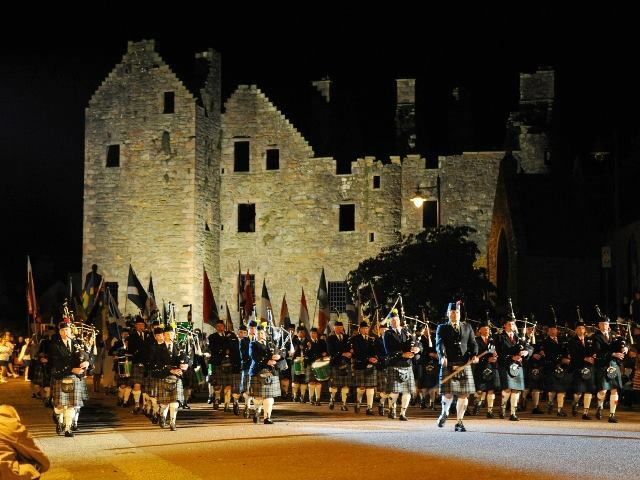 The world comes to Kirkcudbright each August when our town puts on its most spectacular of shows, with a stunning explosion of creative performances culminating in a lone piper serenading the gathered crowd before the sky bursts into a shimmering firework display. Add in the assembled local pipe bands, country dancers, and much more and you have a performance to stir all the senses and emotions. The Evening will also feature awe-inspiring massed pipes and drums, highland and country dancers, plus a whole cast of entertainers.